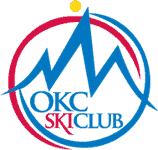 We depart OKC on Sunday afternoon, March 3rd and arrive back in OKC on Monday evening, March 11th. Roundtrip airfare from Oklahoma City to Munich. Once we have received your deposit we will forward you information to purchase trip insurance if you choose to. Click here to download a trip application. Fill this out and mail it to the trip captain along with your $750.00 per person deposit. Balance must be paid by December 1st to avoid heavy cancellation fees and ensure our group rates. Membership must be current to reserve your spot.